by Nashville Producer Tony Rollo. 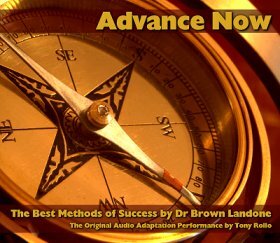 Proven Methods and Techniques that will apply to your life and business success. Would you listen to the proven wisdom from a man of success ? He lived a vigorous life to the age of 98 and achieved his own dreams and helped many make their dreams become realities in life and business. Covering real life examples from sales to real estate to creating your own business to taking even the most destitute cases into a brilliant future. 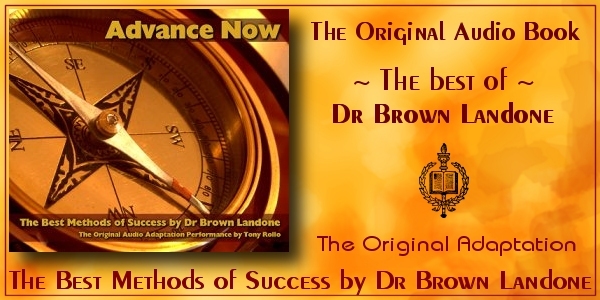 From original first edition texts and dramatically performed by Nashville Producer Tony Rollo, these are the best stories and methodologies for success from renowned business consultant, medical doctor and prolific author Dr. Brown Landone.